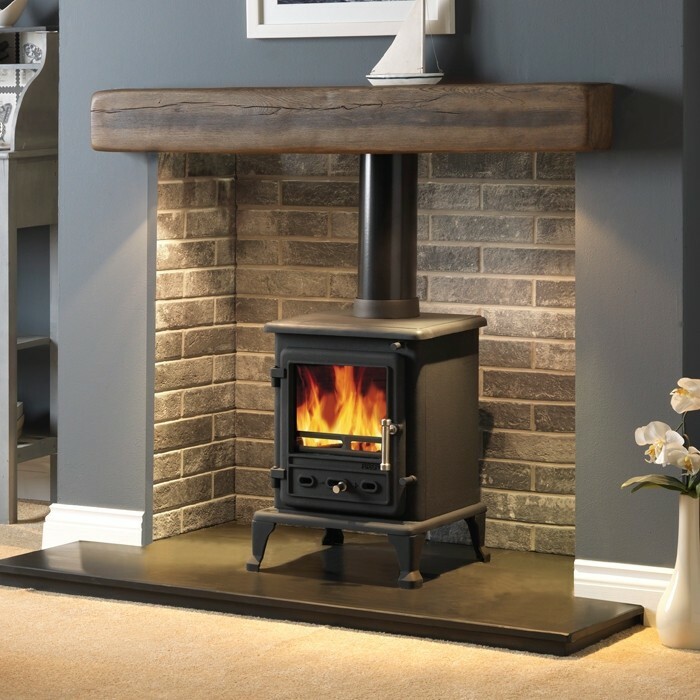 The Gallery Firefox 5.1 Multifuel/Wood Burning Stove is made from solid cast iron, with a compact design that features 4.9kW heat output and a 78% efficiency rating, making it a great choice for heating in smaller rooms and spaces. 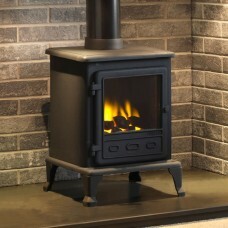 The Gallery Firefox 5.1 Multifuel/Wood Burning Stove has a robust heat output of up to 4.9kW and an efficiency rating of 78%. 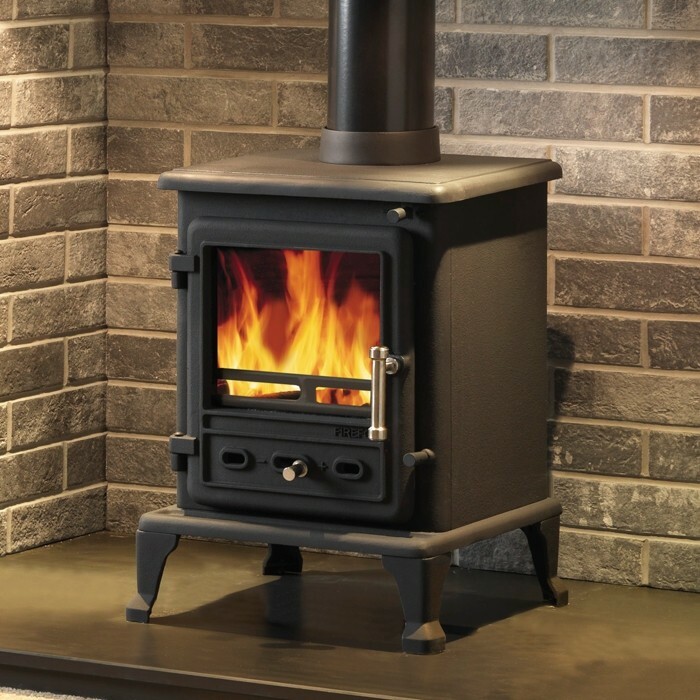 Each stove made is from cast iron, with its compact design being ideal for smaller rooms also featuring the controlled airwash system to keep glass clean. 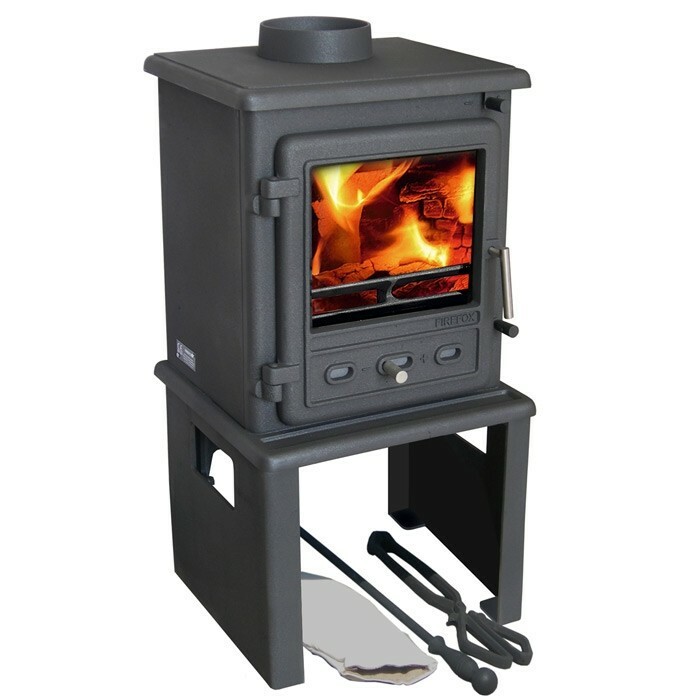 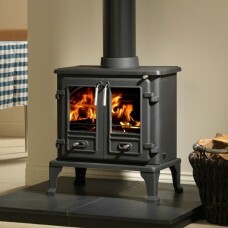 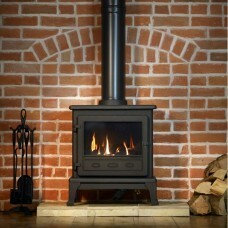 The Firefox stove range is also available in an 8.1 configuration - to view this item please click here. 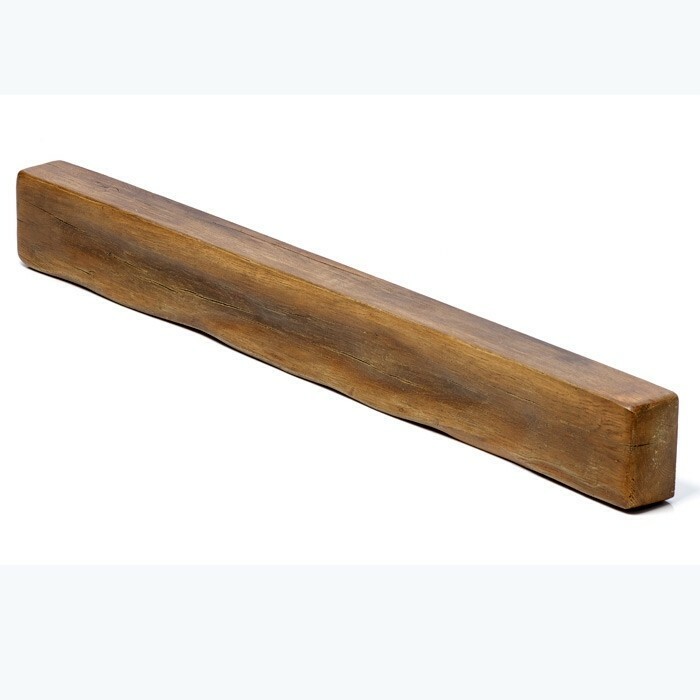 All dimensions are in mm. 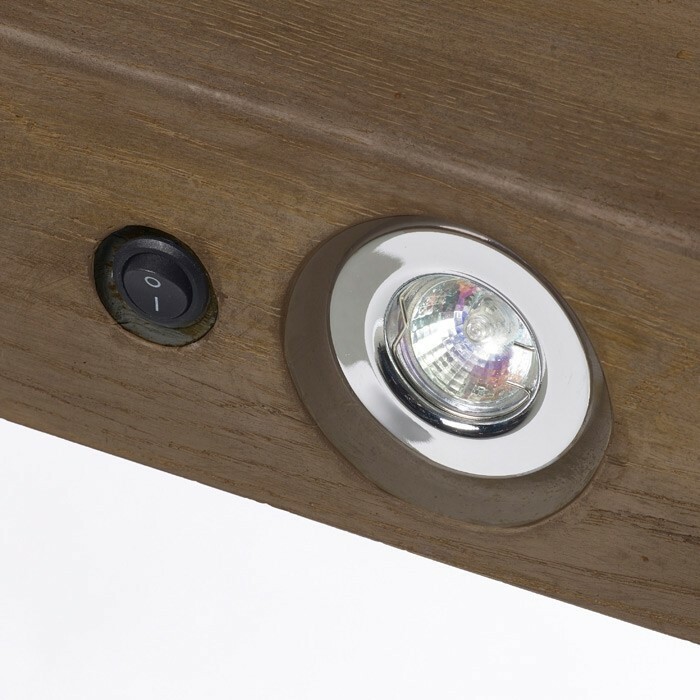 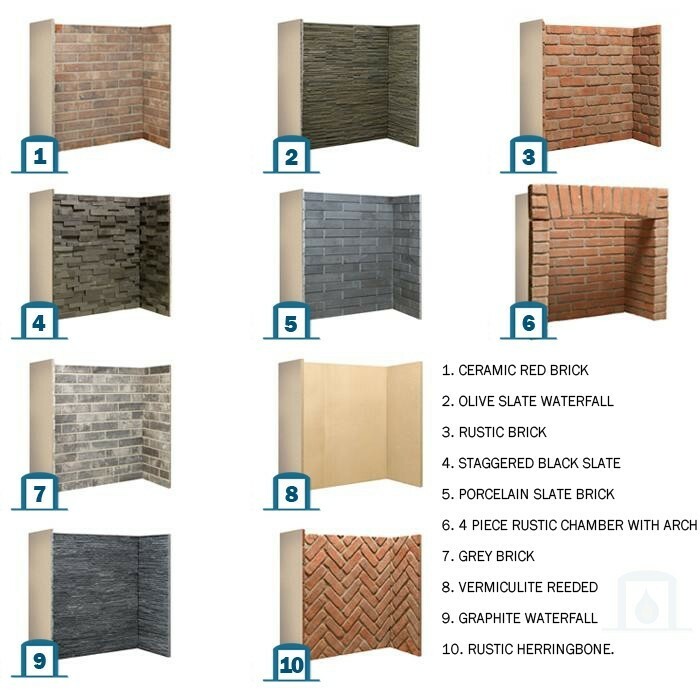 Due to manufacturing processes, all measurements are approximate and may vary slightly. 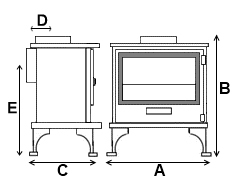 Please allow for a tolerance of plus or minus 12mm.